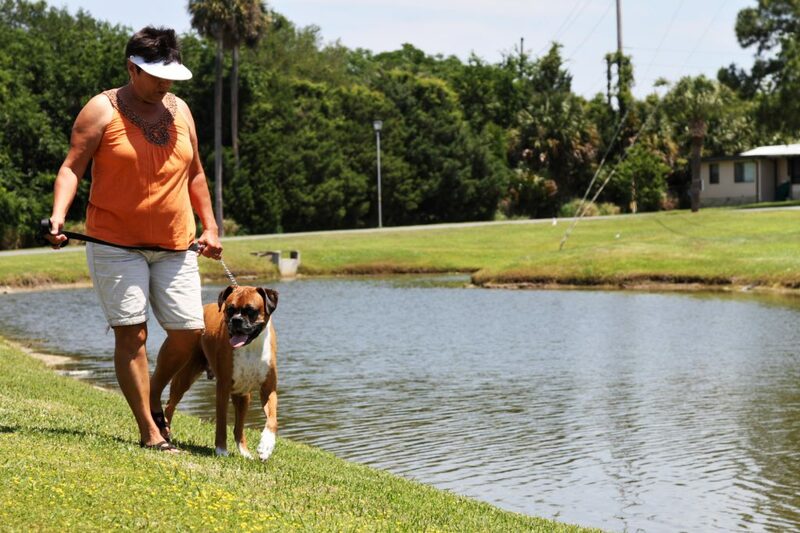 At Lake Griffin Harbor, we welcome residents and their pets to enjoy our lakefront lifestyle. We have over 65 acres to walk along where you can take in the beautiful conservation and water views. Some of our residents even take their dogs out for a boat ride since our community has a marina situated on expansive Lake Griffin, known for its trophy bass fishing, and easy access to the Intercoastal Waterway of Florida. Feel free to give us a call for more information on you and your pet becoming residents of Lake Griffin Harbor in Leesburg, Fla.: 800-888-3789.